At Kirkman Chiropractic. one of our goals is to always be at the forefront of nonsurgical back and neck care. That’s why we offer you state-of-the-art spinal decompression. Nonsurgical spinal decompression is a safe, drug-free way to relieve spinal pain, pressure and inflammation. This leading-edge treatment has been proven to relieve the pain caused by many disc problems and speed the healing process. If you are suffering from neck or back pain caused by a damaged disc or spinal stenosis, spinal decompression may provide the relief you are looking for. Pain relief is just one of the benefits of spinal decompression. Studies have shown that reducing pressure on your discs can increase the flow of nutrients to affected areas of the spine, stimulating healing that might otherwise not occur. 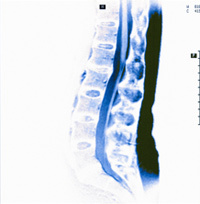 A thorough consultation and exam will determine whether you are a good candidate for spinal decompression. Either way, we’ll provide you with a specific plan of care to get you out of pain and back to what you enjoy doing. Not all Orlando chiropractors offer this non-surgical, non-invasive approach to disc conditions. Kirkman Chiropractic is committed to helping you avoid surgery through the use of spinal decompression therapy! Call us today at (407) 291-1000 to schedule an appointment.